BRB, setting an alarm to buy tickets. Earlier on this week we announced that big time YouTubers Tyler Oakley and Bethany Mota will be Head Counsellors at their very own summer camp, well now we have something even better to tell you. Imagine a weekend long festival, full of all the biggest musical talents in the entire world, chatting and sunning with all your friends, and then Troye Sivan just walks onto the stage and belts out WILD. 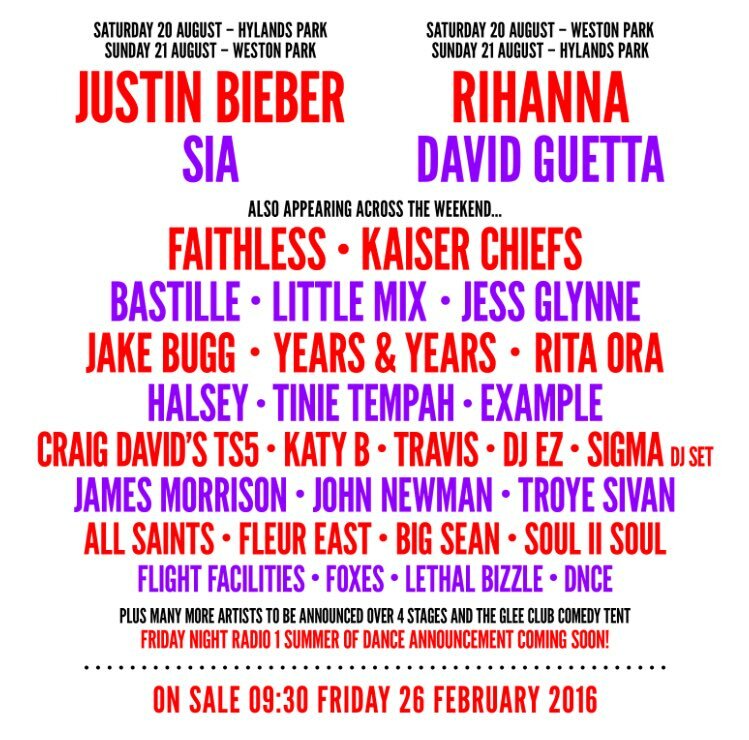 That dream is coming true, and it's called V Festival 2016. For the 21st edition of V Festival, one of the UK's biggest and greatest annual music events, the founders have pulled out all the stop to make sure it's going to be the best gig on the planet. Headlining the show is Justin Bieber (making his debut in a UK festival) and Rihanna (finally returning after five years), but the entire rest of the line-up is absolutely bonkers. The icing on the cake? Seeing Troye Sivan's beautiful, little cinnamon roll of a name on a list next to some of the most legendary musical acts to have ever existed. Go #TeamInternet! The festival will take place on the 20th to the 21st of August and is already shaping up to be the biggest music event of 2016, even with the recent Glastonbury/David Bowie announcement. So if you want to buy tickets, set your alarm for 9.30am (GMT) on Friday the 26th of February and log onto the official V Festival website to make sure you get your chance to see Troye Sivan in the flesh. This isn't the first Troye announcement of the week however, with him teasing the hell out of his new and upcoming single Youth. The video hasn't been dropped yet, but if you're following Troye on Twitter you'll already know it's coming soon as he's tweeting about 9 billion times about it. We'll keep you posted as to when the video drops so we can all celebrate and dance together, but until then, try to survive off this little teaser GIF. You're welcome.